A majority of the country thinks it's time for Donald Trump to log off, and never tweet -- at least not from his personal Twitter account. According to the latest national survey from Quinnipiac University released Tuesday, 64% of Americans want the president-elect to shut down @realDonaldTrump, the Twitter account that he has maintained since 2009, which has amassed more than 19 million followers. The poll found that an even larger majority of Americans aged 18-34, 71%, are in favor of shutting down the account. Republicans are virtually split on the question: 49% say Trump should keep the account, while 45% say it should be shuttered. Trump has fired off more than 34,000 tweets from the account, and has shown no signs since his victory in November that he's ready to give it up. In the nine weeks since Election Day, Trump has generated headlines (and controversy) with tweets on flag burning, the cost of Air Force One and, most recently, Meryl Streep. At times, Trump's tweets arrive in the wee hours of the morning, seemingly provoked by something he has just seen on television. The end of Trump's personal account wouldn't necessarily bring an end to Trump's tweets. Trump will inherit @POTUS, the official presidential Twitter account, when President Obama leaves office later this month. Obama was the first sitting president to have that account, but all of his more than 300 tweets will be archived and wiped from the timeline once Trump is sworn in on January 20. 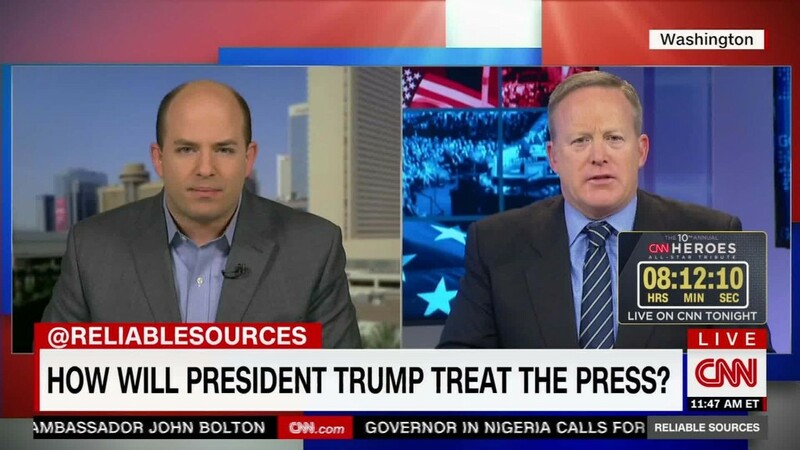 Sean Spicer, who will serve as White House press secretary in the incoming administration, said last week that he expects Trump to tweet from both accounts.